Gamefly is a video game subscription/rental service much akin to Netflix. Members enjoy titles across several gaming consoles including PlayStation, Xbox, Nintendo, and other classic gaming consoles. The service expanded into movie rental, too, creating a one-stop shop for entertainment. The Gamefly affiliate program is offered through Commission Junction. Affiliates earn each time a visitor signs up for a free trial and become a paying member. Commissions are an average $15 with a $20 commission for those able to refer 500+ signups a month. A 5% commission is earned for new game consoles as well further improving affiliate earnings. 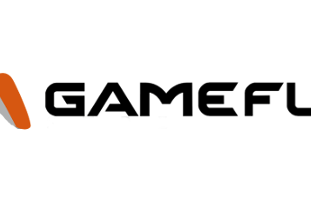 The Gamefly program includes all your necessary affiliate offerings like banners, text links, and copy aimed to improve conversion rates and program implementation. Apply to the Gamefly affiliate program to begin making money with your gaming-related website or blog, today. Gamefly delivers thousands of video games across many console generations. This is a wonderful service in the age Steam sales and streaming games. What makes the Gamefly affiliate program worth its while. Or, what should you know to compare other offers? The Gamefly business model may seem dated but it’s a welcomed service for today’s market. Many gamers have grown up — they have little time to play. Others find keeping up with the gaming scene to be far too expensive. The rental service lets them pick and choose games, monthly, without the late fees or high costs. This creates a never-ending stream of new entertainment. The value per hour and cost savings create a winning combination for video game enthusiasts. In all, the referral commissions for Gamefly offers and promotions are some of the best you’ll find in this industry outside of affiliating with retailers. In a market now dominated by streaming and online sales, this traditional subscription model stands out. We believe the Gamefly program will become one of your best money-makers in the video game niche.